Two New Restaurants Coming Soon to Jupiter Country Club! 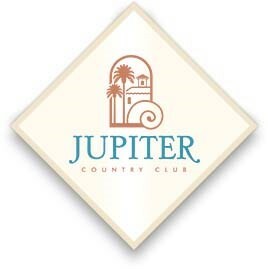 Jupiter Country Club has announced two exciting new dining options for their members. They are revitalizing the main clubhouse restaurant as well as the restaurant formerly known as the Palestra Café. The culinary team of David Rodriguez, Executive Chef, and Corinne Wysocki, Food & Beverage Director, have crafted delicious new menus and alluring restaurant concepts for their members’ dining pleasure. The Cove will be located in the Grand Clubhouse and will feature fresh and exciting cuisine. The Cove will welcome guests for lunch and dinner in a warm and inviting atmosphere. The Cove’s name was inspired by the definition of cove which is a small inlet offering shelter. It will be a retreat to refuel after a round of golf, to relax by the fire pit, enjoy a bocce ball game and a place to get together with friends for dinner or a have a date night. During the day, a pub-style menu will be offered and upscale dining in the evenings. Special member events will be held one Saturday evening a month. Sundays will be a time to enjoy fresh family style dinners. Formerly known as the Palsestra Café, Cay Café will be the spot to savor healthy salads, oven-baked pizza and Chef David’s famous tuna tacos in a family-friendly environment. Breakfast will be served on the weekends. You will have to try the homemade doguhnuts! After your evening pickleball match, gather at the bar for cocktails and wander over to the dining room for a leisurely dinner. Posted in Rialto, Rialto homes, Rialto homes for sale on October 28, 2016 at 3:23 pm.